When it comes to much-desired items of fashion, Marks & Spencer is usually top of the game. The high-street retailer regularly wows customers with their new offerings, often causing a frenzy among fans clamouring to pick them up before they sell out. And a brand new A-line skirt appears to have been no exception. 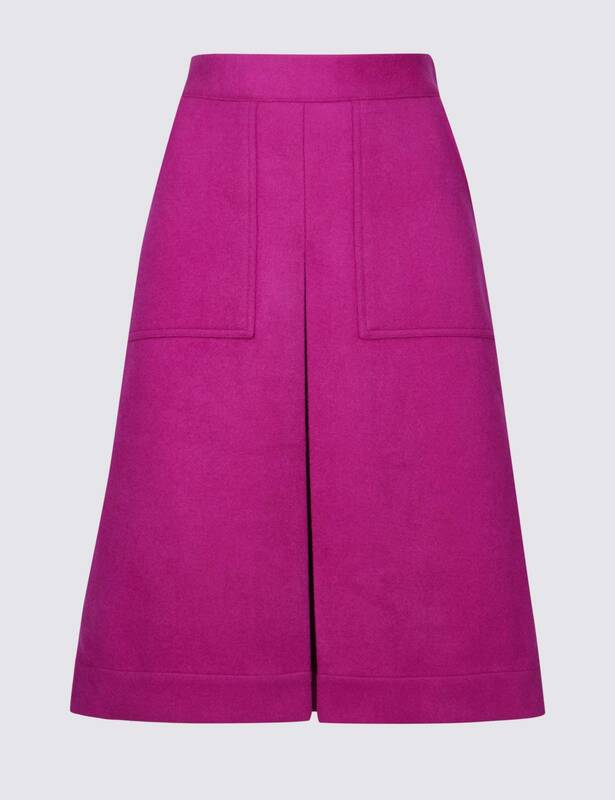 A few weeks ago, M&S posted on their Instagram about a new-release, hot pink, wool A-line skirt, that was being launched in their new autumn/winter collection. Others praised the entire look for being ‘very autumnal’ – and we completely agree. Some customers were less convinced by the skirt, but we reckon it would be a great addition to any wardrobe. And now, the skirt is finally in stock, meaning eager customers can finally get their hands on it! Marks & Spencer announced just a few days ago that the skirt is available now. But if you want it, you might need to hurry, as it’s – predictably – selling out very quickly. At the time of writing, the skirt, which is available in a ‘regular’ and a ‘long’ size, is only available in a 16 and 22 in regular, and sizes 14- 22 in the long. It’ll be an affordable buy too, selling at just £39.50. And the skirt would go with almost anything. Mimic Marks & Spencer’s styling and pair with an oversized slouchy jumper, or smarten it up for night out with a smart, fitted top. However, if you’re more interested in the jumper that appears alongside the skirt in the pictures, you’ll be delighted to know that that is now available to buy as well. The colour block, round neck jumper is on sale for £32.50, and is guaranteed to keep you warm throughout the winter months. At the moment, it’s still available in all sizes – a small, medium, large and extra large – so get it before it goes! You can buy it here.